How can your small business funding benefit from Black Friday? Friday 27th November is Black Friday! An American tradition, it has gathered momentum in the UK over the past 2-3 years. But what is Black Friday and why is it relevant to your business? Black Friday is the Friday after Thanksgiving Day in the United States. Thanksgiving is always the fourth Thursday of November so Black Friday is the fourth Friday in November. For the last decade, Black Friday has been regarded as the beginning of the Christmas shopping season in the US. Many retailers now gear up for Black Friday just as they would for any other major sale, with special deals to be had on and around the date. In the UK this year many major retailers - including Amazon, Argos, Asda, Currys, John Lewis, Marks & Spencer, and Sainsbury’s - are expected to offer special Black Friday deals either in store or online. Opinion is divided as to why it is called Black Friday but it is generally accepted that it is because this is the day that, if managed well, could make the difference between your business making a loss (“in the red”) or a profit (“in the black”). Indeed last year an estimated £810 million sales were made on Black Friday in the UK, over double the amount of the previous year. Gear up your social networking activity around Black Friday. It will bring you to the attention of those seeking Black Friday bargains, and will also show that although your business is small, you are on trend with the wider business community. 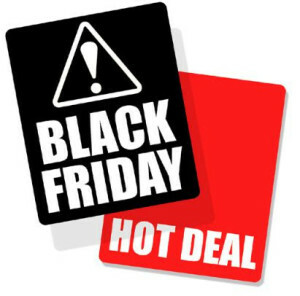 Offer a special Black Friday voucher that gives a slight discount when customers come to you for products or services. Work out a deal that will not disadvantage you financially and will also attract new customers to you. Run a special Black Friday competition with one of your products or services as a prize. This will enable you to collect more customer data to boost your marketing activity. All of us at Fair Business Loans hope that your business has a really successful Black Friday. Do let us know how you get on: we would love to feature your success in a future blog!